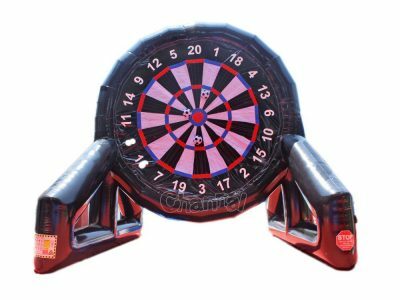 Foot darts is an inflatable game combines football and dart together, so it’s also called football darts or soccer darts. 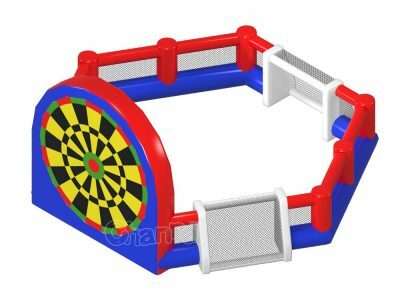 How to play football darts, it’s simple just as you play throwing darts in bars and pubs, only change your throws from hands to feet. 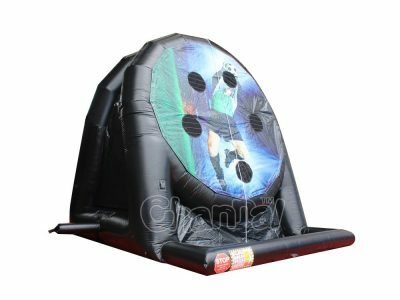 You kick velcro soccer balls onto the surface of giant velcro board, they will be stuck on the board. The scoring is just same with dart game. Playing one by one to determine who is the winner or team up, it’s your call. 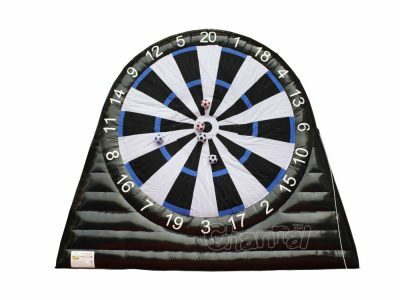 A soccer dart board takes some space, so you need a site with enough area to installation and shoot, such as outdoor lawns, large backyards, indoor gyms, etc. 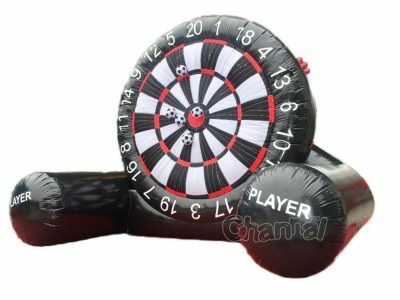 Channal Inflatables is a professional football darts manufacturer in China, we can make your own custom giant inflatable football dart board games at cheap prices. 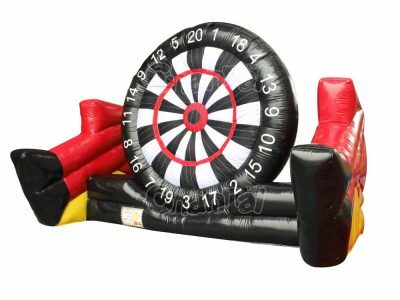 We also manufacture inflatable darts for carnivals and parties. Seeing is believing, check out our already made products below.